ESR-REIT's first set of quarterly results post-merger. Still at discount to large portfolio peers. additional contributions from 15 Greenwich Drive which was acquired on 25 Oct 2018. Borrowing costs increased 106.7% y-o-y to S$10.9m. 4Q18 distributable income increased 140.2% y-o-y to S$29.3m while DPU increased 8.2% y-o-y to 1.005 S cents on the back of an enlarged unit base. All in all, ESR-REIT's FY18 DPU came up to 3.857 S cents or 101% of our initial full-year forecast. As at end-FY18, ESR-REIT’s portfolio consists of 57 properties in Singapore, with a total GFA of 14.1m sq ft. Portfolio occupancy stands at 93.0% as at end-FY18 and rental reversions have improved on a y-o-y basis (-2.9% for FY18 vs. - 15.8% for FY17). In terms of exposure to asset types that command higher rental rates, business parks and high-specs assets contribute 45% of ESR-REIT’s portfolio’s valuation. We do note that ESR-REIT’s 41.9% gearing ratio falls on the higher end of the spectrum (vs. ~35% average for all industrial S-REITs), but that said, we see it as a positive that the portfolio remains 100% unencumbered and the weighted debt expiry has improved from 2.2 years as at end-3Q18 to 2.7 years as at end-FY18. In addition, over 83% of interest rate exposure is fixed for the next 3.0 years. Since our initiation (see report: ESR-REIT - New Kid On The Block dated 14-Dec-2018), ESR-REIT’s share price has increased 6.0% from S$0.50 to S$0.53 as at 18 Jan’s close. 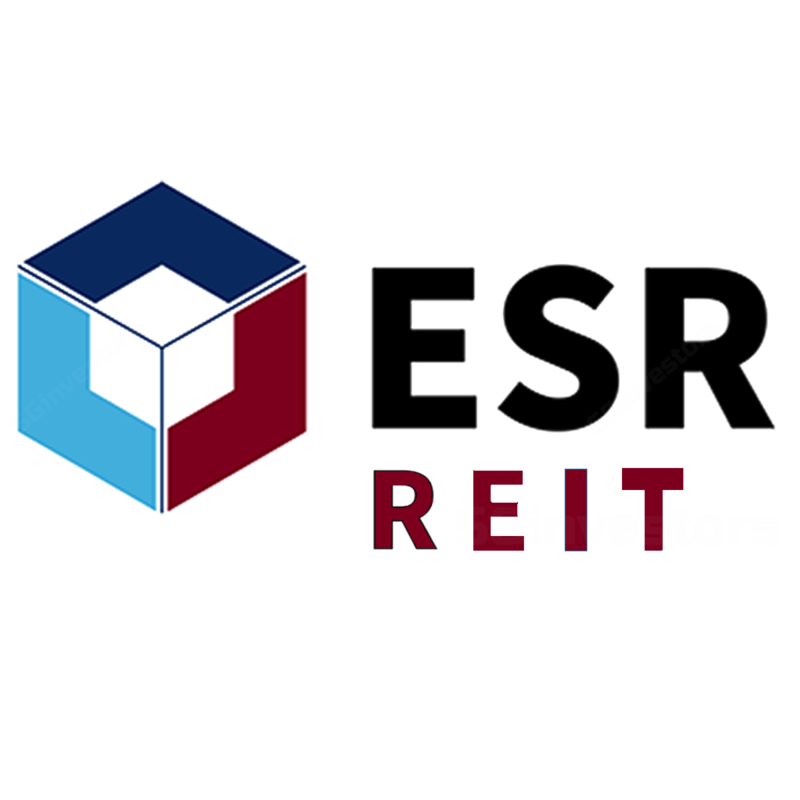 However, ESR-REIT is still trading at a discount to industrial REITs that also have large industrial portfolio. As at 18 Jan’s close, ESR-REIT is currently trading at 1.13x P/B (versus the 1.23x average of its large portfolio peers), and a dividend yield of 7.2% FY19F yield (vs. the 6.1% current yield of its large portfolio peers). After adjustments, our fair value dips from S$0.59 to S$0.575. We re-iterate BUY on ESR-REIT.